Since he became mayor, Msimanga has supposedly turned a R2 billion debt inherited from the ANC into a R704 million surplus. 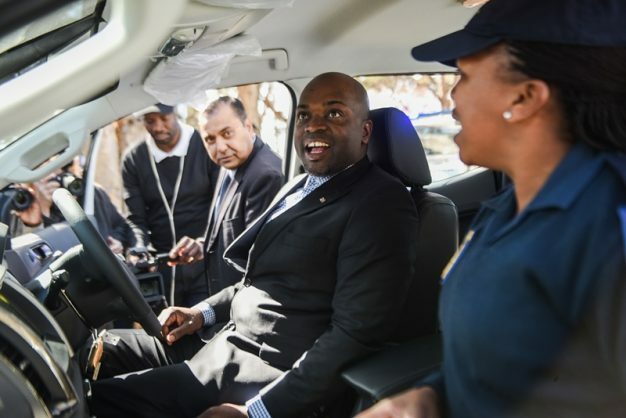 DA leader Mmusi Maimane made the right noises when he announced the party’s candidate for Gauteng premier – and the spearhead of its campaign to oust the ANC from governing the province – was Tshwane mayor Solly Msimanga. Msimanga, according to Maimane, is the quintessential township guy, having grown up in poverty in Atteridgeville outside the capital. And, since he became mayor, when the DA took control of the city in 2016, Msimanga has supposedly turned a R2 billion debt inherited from the ANC into a R704 million surplus. Not to mention attracting R5 billion in investment to the city, nogal. Msimanga’s copybook, though, is not without blemish, in particular when it comes to what appears to be nepotism in appointments of DA stalwarts to well-paid municipal positions. These accusations have not been adequately dealt with, either by city or party. On the other hand, the ANC has long since dug out and sold the political high ground with the appointment of people like former Gauteng health MEC Qedani Mahlangu – on whose watch more than 140 patients died in the Life Esidimeni scandal – to the organisation’s provincial executive committee.